In the age of the internet, almost everyone relies on Emails and Email clients for their everyday life. When compared to traditional mails, Emails have made our lives much easier. This is possible because of all the options and features we get while using popular Email services. Not only that but you can enhance your Emailing experience even further by using an Email client like Windows Live Mail. This is a great Email client which comes pre-installed in Windows 10. 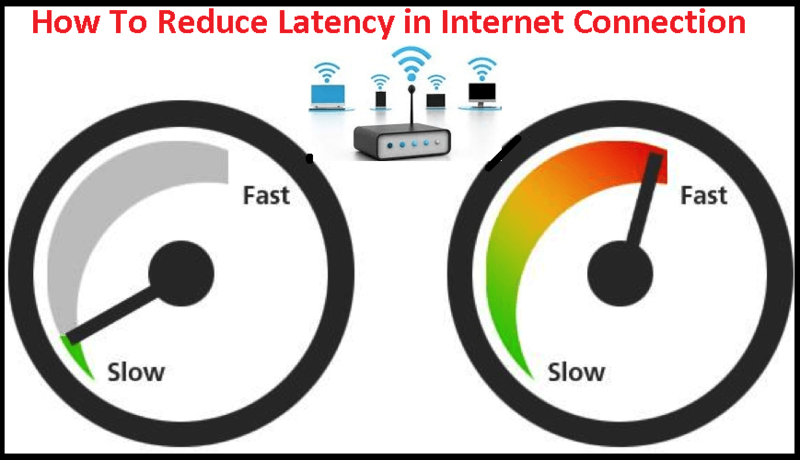 It provides its users with a plethora of features and options and is quite easy to use. But some users have reported an issue where the Email client won’t start. 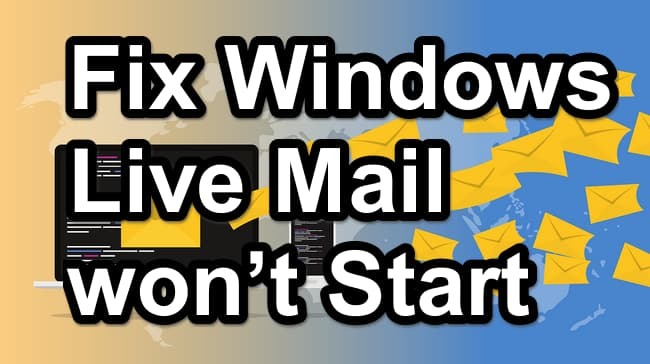 And today in this article we will take a look at how to Fix Windows Live Mail won’t Start. Open Windows Explorer in your PC by pressing Windows Key + E on your keyboard. 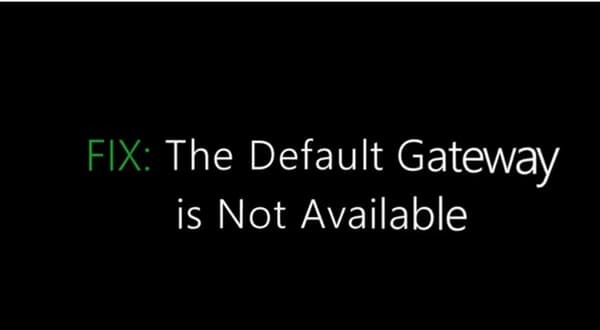 Now, navigate to C:\Users\<Account Name>\AppData\Local where you have to replace <Account Name> with your account name in Windows 10. After that, look for a folder named Windows Live and open it. 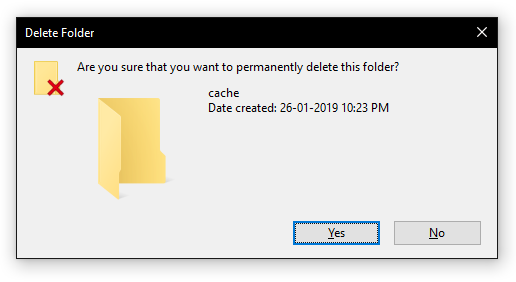 In here, select the “cache” folder and press Shift + Delete on your keyboard and select Yes which will permanently delete the cache folder of Windows Live Mail. Finally, reboot your computer and launch Windows Live Mail and it should start without any issues. 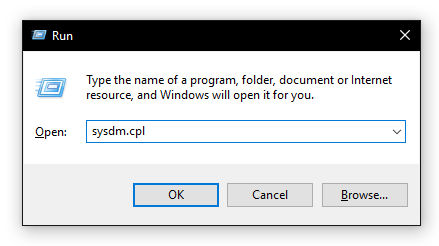 First, open Windows Explorer in Windows 10 by pressing Windows Key and E at the same time. In here, navigate to C:\Program Files (x86)\Windows Live\Mail and locate wlmail.exe. After that, right-click on wlmail.exe and select Properties. Once you’re inside Properties, go into the Compatibility tab. 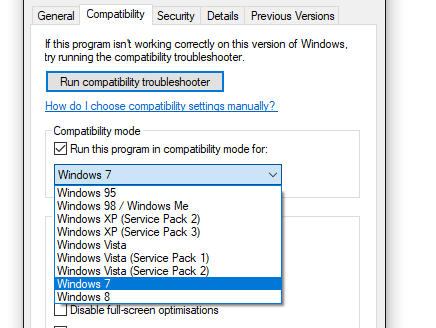 Now, select the Run this program in compatibility mode for option and using the drop-down menu select Windows 7. 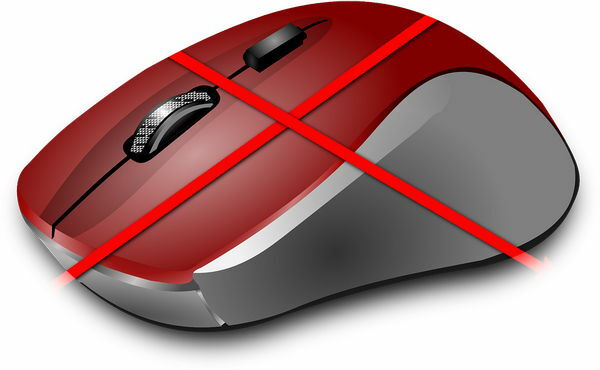 At last, click on OK and reboot your computer to save these settings after which you won’t have issues with Windows Live Mail. In here, type sysdm.cpl and press enter which will open System Properties. 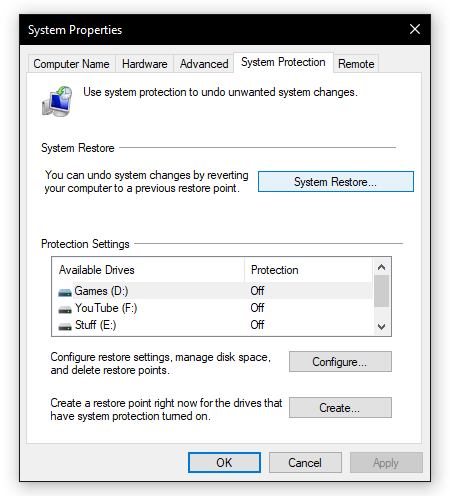 Now, open the System Protection tab and click on System Restore. This will open the System Restore window on your screen. 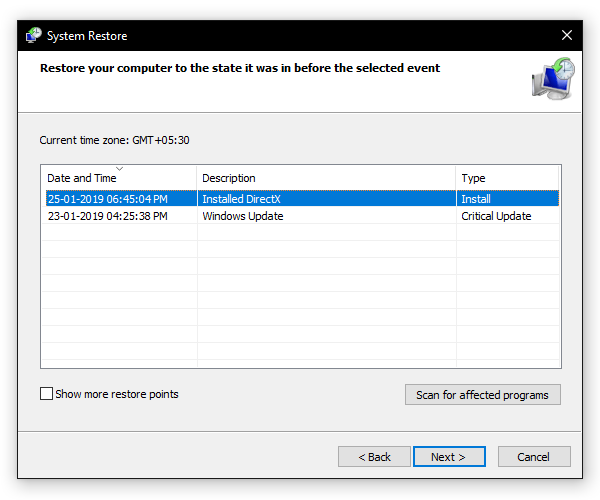 After this, choose your desired System Restore Point by checking the mentioned date and time. 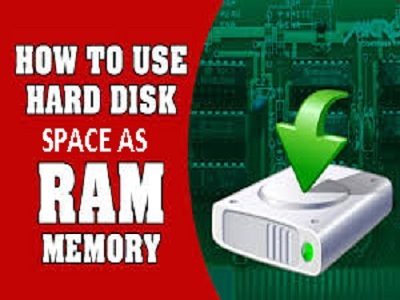 At last, follow the onscreen instructions one by one to successfully restore your computer to an older instance. 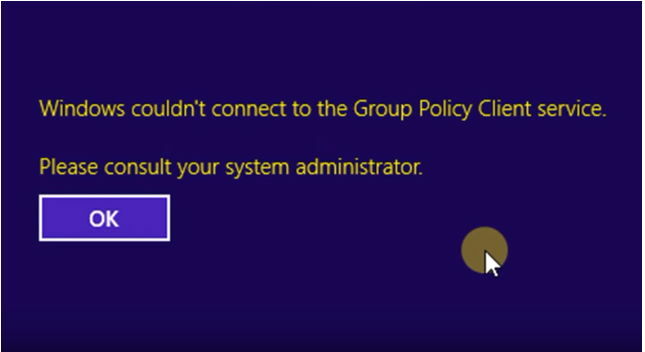 Doing so will hopefully fix Windows Live Mail won’t Start error. If you have tried all of the above-mentioned fixes regarding Windows Live Mail, you can try reinstalling it. Reinstalling essentially means uninstalling an app and then installing once again. Doing so can fix a lot of problems with an application or program. 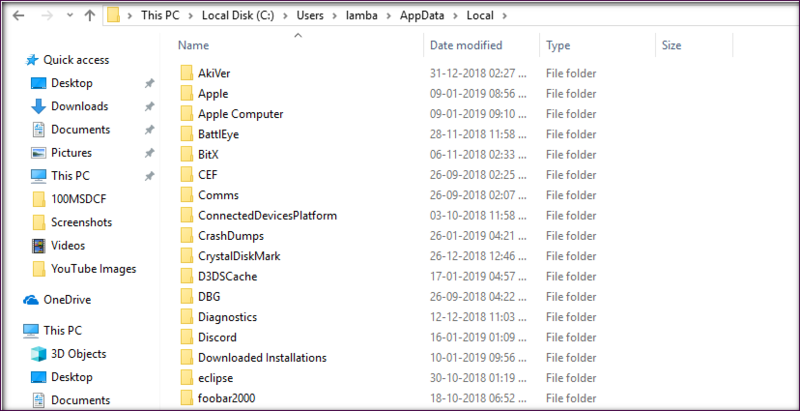 Similarly, if the Windows Live Mail client in Windows 10 of your computer is not starting, you should consider reinstalling it. You have to first uninstall it using Control Panel or System Settings. 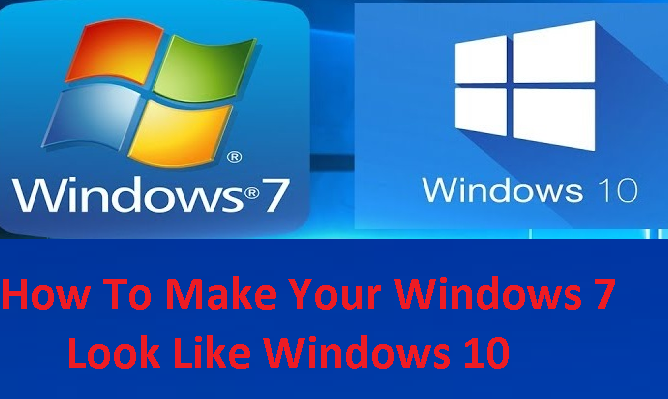 And once you’ve uninstalled it, simply download and install the latest version of Windows Live Mail in Windows 10 which should then work without any issues. 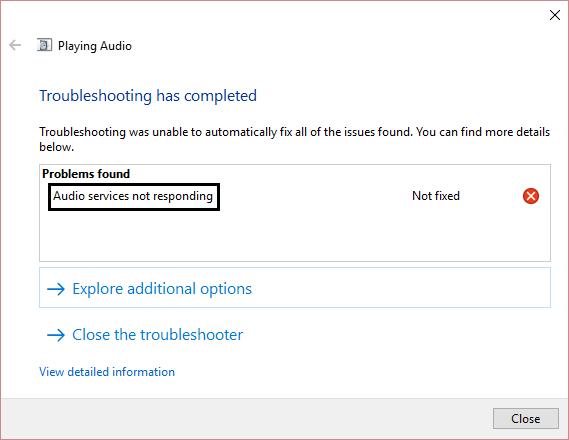 We hope that you’ve successfully fixed the Windows Live Mail won’t Start error in your Windows 10 PC. We are pretty sure that at least one of the fixed mentioned above has worked for you and you’re not facing the Windows Live Mail error on your computer. In case you liked this article, then make sure to share it on social media. If you have any doubts regarding any of the solutions, feel free to ask any queries in the comments section below.